With extra stars for repeat offences. Seriously you have to wonder why Dr Christian is so into hating the breastfeeding. Does causing a bit of controversy boost ones celebrity profile if work is quiet? You might remember Dr Christian offended quite a few folk last year when he tweeted about "militants" and the "breastapo" (yes really a doctor did this). Had he made such comments in reference to a person's religion or skin colour, I can imagine the outcry that would follow - but hey breastfeeding mothers are fair game right? It seems it's equally as acceptable for "celebrity doctors" to throw evidence to the wind and spout guff in magazines too. Sure the WHO/ NHS/NICE are great and all that, but who needs them when personal opinion seemingly trumps research anyway? For those tweeting about my comments in @CloserOnline magazine -they were taken completely out of context! Was referring to 1 specific case. 2) my comments referred to this particular story and not breastfeeding in general. Unfortunately this is not what ended up being printed! "THAT WAS WHAT MY 'MAY CAUSE PSYCHOLOGICAL PROBS' COMMENT REFERRED TO @WelshGasDoc: @DoctorChristian Breastfeeding a 6year old is just weird." So apparently Closer magazines added "only for the first 6 months and after that it.has no effect" - if this is the case I'm sure Dr Christian must be really quite upset. The notice that appeared from Closer magazine. though strangely that doesn't apologise for a misquote, instead it appears to blame those upset at the comments, and who as a result are unfairly calling Dr Christian uninformed! In this week's magazine we've published an article about Michelle Atkin who’s breastfeeding her four-year-old and hopes to carry on until he is eight. The mum-of-seven believes breastfeeding helps keep Charlie healthy and says she even uses it to calm him down before he has a tantrum. Within the article, we included an expert comment from Dr. Christian Jessen, who advised us that while breastfeeding is beneficial for the first six months, continuing until a child is eight could make them overly dependent on their mothers. And it's stirred up opinion on Twitter, with some people unfairly branding our columnist “ill-informed” and saying “he doesn’t understand what he’s talking about”. Here's what he's had to say on the matter. “Advice on breast feeding is always changing. The World Health Organisation recommends breast feeding for up to two years, while the NHS recommends breast feeding for the first six months. “Breast milk is beneficial to a baby's immune system for the first six months, but there is no harm in continuing to do it as long as the child has a healthy diet. 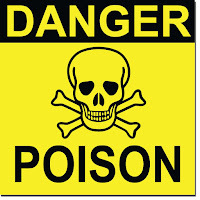 “If a child is being breast fed until eight, this may make them overly dependent on their mother. However if they are being breast-fed at four there is no harm in this. Perhaps I'm just not as clever as Dr Christian, but I still don't understand how "only for the first 6 months and after that it.has no effect" as per the original post can have been "taken out of context"? Dr Christian seems to still heavily imply there is no benefit to breastfeeding beyond six months in the revised comment - kinda out of the frying pan into the fire.
" The longer you breastfeed, the longer the protection lasts and the greater the benefits." "Breastfeeding (and/or breastmilk substitutes,if used) should continue beyond the first six months, along with appropriate types and amounts of solid foods"
Note, not "no harm in continuing", but "should" continue. "Breastfeeding exclusively is recommended for around the first six months. After that time, breastfeeding is recommended alongside solid food. Therefore it's likely that you'll be breastfeeding when you return to work or college." Which in the UK is typically 6 months plus postpartum based on standard maternity leave. So when Dr Jessen says the NHS recommend breastfeeding for six months, that's a rather misleading statement. "Thereafter infants should receive complementary foods with continued breastfeeding up to 2 years of age or beyond." Those two small words at the end make quite a significant difference to the message don't they? Note they don't set a limit on "beyond"
Claims that breastfeeding beyond infancy is harmful to mother or infant have absolutely no medical or scientific basis,”Arthur Eidelman, MD, president of the Academy of Breastfeeding Medicine. I wonder which part of Dr Christian's medical training covered breastfeeding? Does the title "Dr" qualify one to speak on anything health related, and for any old drivel to be published under the claim of "opinion piece"? Perhaps next week Closer will ask an ENT their opinion on open heart surgery to really liven things up. Dr Christian doesn't seem to be familiar with the connection between feeding beyond 6 months and the thymus, a pretty important bit of the immune system. Nor with potential reduced rates of childhood cancer or IQ, which this 2003 study also highlights. Let's look at something Dr Jessen is interested in - obesity. Surely we're tempting Dr Christian now? I'm getting bored, but suffice to say breastfeeding beyond six months with a has been linked with everything from improved mental health, rate of ear infections and rheumatoid arthritis to reduced rates of breast ovarian and endometrial cancer in mum. I was also surprised to read his reply to someone stating feeding a 6yr old was weird. It strikes me as hugely unprofessional someone would make such a statement when clearly advertising themselves as said medical professional. Luckily we've BTDT with the whole is it weird a 6 year old feeding, so I don't need to repeat myself. But I can't help but wonder if Dr Christian hasn't been hanging around with Dr Ellie rather too much. Next his claims that breastfeeding until 8 may make a child overly dependent. Which study is this from then? Clearly not the same ones the AAP based their guidelines on. Exactly how many breastfeeding 8 year olds has Dr Christian met or even heard of? How many studies examine 8 year old feeding? If he's right someone better let the people of Mongolia or South Africa know pretty blooming quick! And overly dependent compared to what? 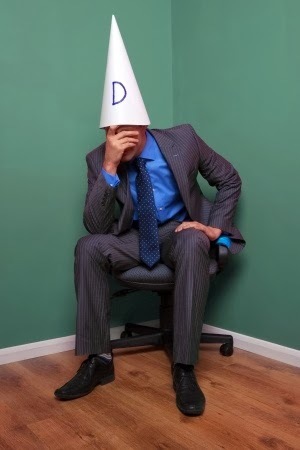 The 8 year olds that are out getting a job and flat hunting? My 7 year old doesn't feed but still strikes me as pretty darn dependent when he wants me to "tuck him in like a gloworm" at 4am. Of course Closer have their part to play in this too. But the reality is Closer is to magazines what the Daily Mail is to newspapers; previous breastfeeding features include the woman who breastfed her dog (yes really), a woman defending feeding her 5 year old (their words) and a woman who expressed milk for her husband. Basically anything they suspect may cause a brouhaha and sell covers. But Closer aren't recognised influential health professionals are they? I have a pang of pity at this point, that he's sinking fast and quoting studies he clearly hasn't even read. I blogged about this study last year here, and how the headlines were completely different to what the paper actually said. Not even in any way relevant to today's discussion of breastfeeding beyond 6 months. "Breastfeeding is more than milk. It is a close, intimate relationship between two people who are usually very much in love with each other. People who say that breastfeeding after 6 months or breastfeeding a toddler is of no value, don't understand breastfeeding at all." Breastfeeding should be continued as long as possible, at least for 2 years. The news that "Michelle Atkin who’s breastfeeding her four-year-old and hopes to carry on until he is eight." is a great but in Indian culture it not exception. In fact, my son, kapardindu, continued breastfeeding for more than 5 years. Even at the age of of 10, he used to put his mouth on breasts before he went to sleep at night. There is no complained either side-- the mother and the son. there was no fuss and hassles-- all went very casually and smoothly. Thank you for sharing your insight, your blog is a great read too! Perfect, I hope you've sent this to him and to Closer? Wonderful response to Dr Christian's drivel. I'm sure Dr Christian is great with some specialties (I hope), but he's certainly not with breastfeeding. He needs to stick with what he knows and stop trying to give advice to breastfeeding women. So have I! He will need his 'expertise' for earache now. Fab response! 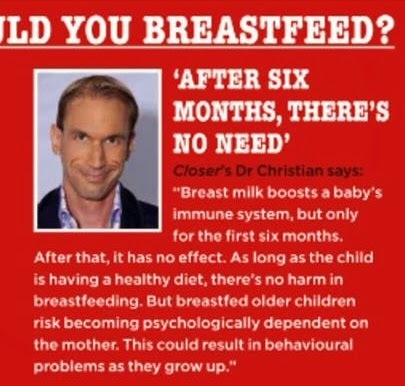 From what you say Dr Christian's view seems to be: that breastfeeding is definitely best for the first six months; that it is something he is neutral about between 6 months and four years; and that it is something he has some concerns about after four years. You clearly disagree strongly with that view and that view may well be wrong or narrow-minded, but is it really so obviously stupid as to undermine the idea that he knows anything about medicine and justify the claim that he hates breastfeeding? I should clarify when I used the term "hating the bf", I meant as in "hating on" something http://www.urbandictionary.com/define.php?term=hater If you click through to the previous interactions with Dr Christian you will see he refers to "militants" and "breastapo", do those comment sound supportive or appropriate to you? I think the point is Frank that evidence disagrees with that view, the NHS/WHO whom he quoted in his comment disagree with that view, other leading health authorities such as the AAP disagree with that view - when using his "doctor hat" he shouldn't imo peddle his personal opinions as fact. We have a whole journal of human lactation should someone need a refresher. Many thanks. That does clarify things.